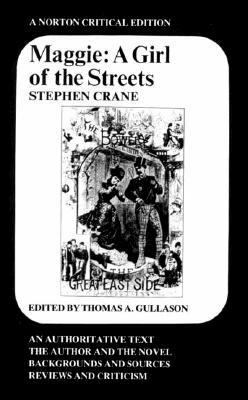 by Crane, Stephen, Gullason, Thomas A.
Crane, Stephen, Gullason, Thomas A. "The true Stephen Crane was the Stephen Crane of the earlier books, the earliest book; for 'Maggie' remains the best thing he did. "Crane, Stephen is the author of 'Maggie, a Girl of the Streets', published 1979 under ISBN 9780393950243 and ISBN 0393950247.